It was the 148th anniversary of the death of Charles Dickens this year. While much has been written about his life and work, we can still learn a lot from his methods! His depiction of a supposedly-fictional London was so realistic because he drew from how people lived and worked in Victorian society. Some of this he would have just known, but he would have learned a lot from going out to observe the world around him. It’s definitely an easy way to generate ideas. We’ve discussed how to write what you know, but sometimes we need to know more. So how can you use where you live to generate ideas? Explore places you might not have had occasion to visit before – this even goes for your hometown, or a city you know well. I discovered a whole part of my hometown that I’d never visited before, purely because I’d never had reason to be there before. I did so on a photo walk, so check local groups on Meetup.com to see if you have access to something similar. It’s good to explore new areas with other people and photography is a great way to capture the places you find for inspiration later. If you find a building that catches your interest, find out about it. Who lived there? What was it used for? Has it always stood on that site, or was it once relocated from elsewhere? The streets are probably no safer than they were in Dickens’ day, so either take a friend, or let someone know where you’re going. That’s another reason organised walks are a great choice. Try to have a paper map of the area on hand in case Google Maps sends you down a blind alley, or your phone runs out of battery. Make sure you have a notebook or sketchbook to hand. Just looking around can generate ideas so you need some means of capturing them! Even if you write horror or sci-fi, you can find the seeds of interesting characters in the people you see going about their daily lives. Why is the man on the Underground looking so furtive? What could that woman have in the oversized handbag? What if that scarf was actually a pet dragon draped around its owner’s neck? Have a sneaky listen when a conversation is going on nearby. It’s not eavesdropping since you’re not actually interested in the content of the conversation. (At least, that’s what I tell myself). You’re looking for those little offhand phrases that might be just what you needed to ’round out’ a character, or spark an idea. If this interests you, you might like this post on making your dialogue more natural. I heard an anecdote that Dickens once heard a story about a man who lived by a river, who would pay for the burials of the unfortunate people fished out of the water. An impressed Dickens wrote the man into his own work as a character. The phrase ‘truth is stranger than fiction’ clearly meant a lot to Dickens. If a real person has actually done something, then it will hold more water to your readers than a complete fabrication. Big news stories that hit the national headlines can be sensational, but you’ll generate more plausible ideas just reading your local paper. If you’re into historical fiction, try online newspaper archives. British Newspaper Archives are a treasure trove of columns, advertisements, and family notices from decades past. You can often access such archives for free through your local library. You can also keep clippings of stories that might relate to your chosen genre. So keep crime stories if you write crime or thrillers, and so on. If your local newspaper has a technology column, keep an eye on it for science fiction ideas! Different parts of London were specific to different trades – for example, Spitalfields was once a centre for silk weaving. Mudlarks operated along the banks of the Thames. 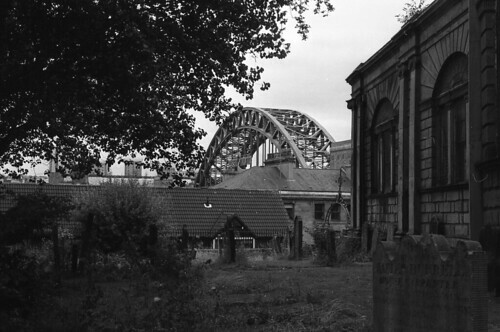 Find an area of your town or city and investigate its history. You might find colourful local characters, infamous scandals or touching tales that could provide inspiration for your own stories. Combine this curiosity with #1 and go on a local history walk. They may hold archives of information, either as old maps, newspaper clippings, or photographs. Any, or all, of these could prove to be useful no matter what genre you write. If your library is anything like mine, you’ll get a lot of inspiration watching the other people using the library. The family history department can be a great place to start. And there’s nothing stopping you people watching in the cafe. Lots of libraries put exhibitions on and you can find melodrama or ‘human interest’ stories in photographs of bygone times. Newspaper clippings will provide you with story ideas whether you write steampunk or crime thrillers. Old city maps can be invaluable if you write fantasy and you’re in the ‘world building’ stage. Libraries are a fantastic resource beyond lending books – so use them! 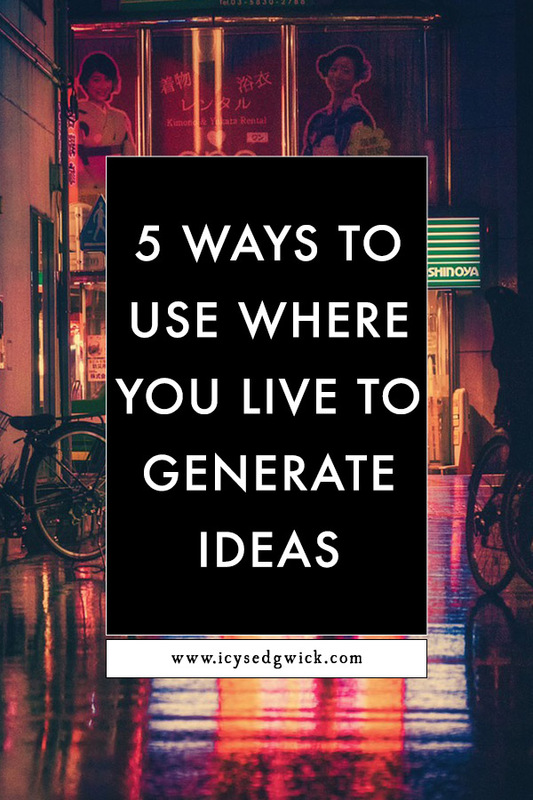 Do you ever use where you live to generate ideas? If not, do you think you’ll give it a go? 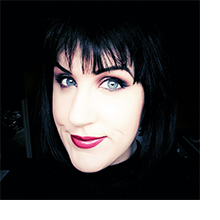 If you’re looking for books, blogs and podcasts on writing, then grab my downloadable list of recommendations below! Loved reading this post. I’ve always entertained the idea of writing a book, however I was never sure where to start. I like the idea of getting ideas from my environment…. I’m going to start observing things and jotting down what I see. Hmmmmm, will be interesting what income up with. Is this what you also do? I guess I always do that too, but then I let the thought go. Now I’m going to grab those thoughts and hold on to them. Definitely! Let me know what you come up with. I do this quite often as of late mostly because I am living in a part of the country I am not as familiar with. Common sense says I should be writing something using the southwest part of the US but I’ve set my current story in the area I live in and am running with it. Sadly, I had not considered the library as a source so thank you for reminding me! We tend to get to comfortable with the convenience of using the internet for research (ok, I do). Well the internet does make things easier…but if you go to the library you can pretend to be Gandalf! Great Article.! Thanks for sharing your thoughts, coming up with new and interesting ideas are important, and getting inspired from locality sounds great especially if you are writing content for your local business. Some good ideas. They even work if you write about the fourteenth century, as I do, although I also visit other places that still have medieval buildings. Where’s the best place you’ve visited? I often set my fiction close to home. New York City provides more than enough dramatic characters and backdrops for any kind of story.